The 3D concrete printer Rudenko designed is very much similar to those found in maker-spaces and workshops around the world, just at a much bigger scale. The main difference with his printer is that it prints with concrete rather than a resin or plastic filament. Once Rudenko had his machine dialed in and had come up with a custom concrete mixture that wouldn’t clog up his extruder, he was ready to put all is hard work and money to the test. His castle really shows off what his printer can accomplish—with the curved walls, arched doorways, and the fine details in the moldings. 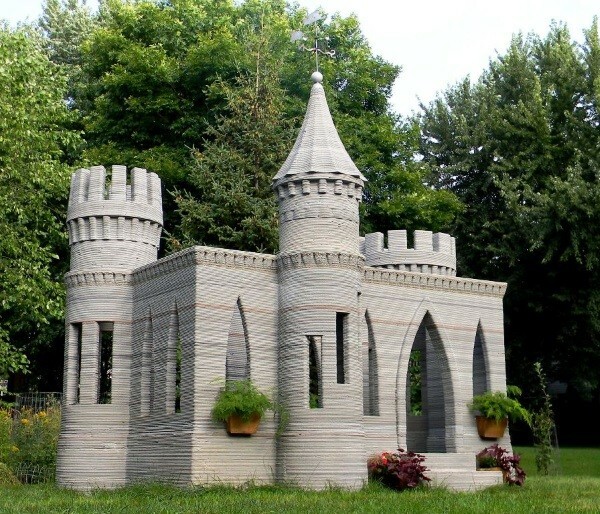 His next plan is to 3D print a full-scale house that he will then auction off as the first 3D printed house. The House Printer prints directly from CAD to complex configurations of concrete. 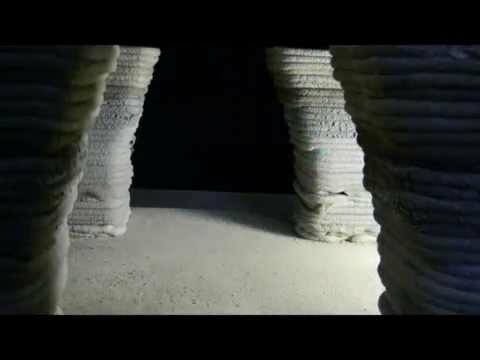 In preparation for the first house printing, this video shows several practice runs with various shapes and elements. Stay tuned for the printing of a castle very soon.